June marks 9 months since Hurricane Maria made its historic impact on Puerto Rico and left unfathomable devastation in its wake. Shocking images of the aftermath have stopped coming across our devices but three recent stories have kept Puerto Rico in the news and reminded us that they still need our help. 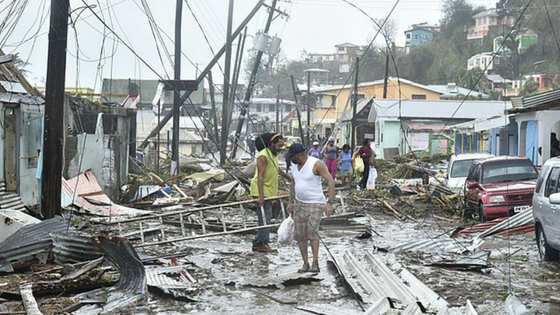 First, a study out of Harvard University in May challenged the validity of the official death toll from Hurricane Maria. The government reported 64 deaths. The Harvard study estimates that as many as 4600 people may have died as a result of the hurricane. Lack of electricity, essential medicines, doctors and open medical facilities in the weeks and months following the hurricane are among the reasons cited. A second reason for concern is that June 1 marked the beginning of the 2018 hurricane season. This is frightening news considering many Puerto Ricans continue to live without electricity and pathways to health services are still compromised. Finally, due to severe financial crisis and mass exodus of residents, the government has proposed closing more than 250 schools. Parents, teachers and children are fighting to keep their schools open noting that the closing of a school is the death of a community. 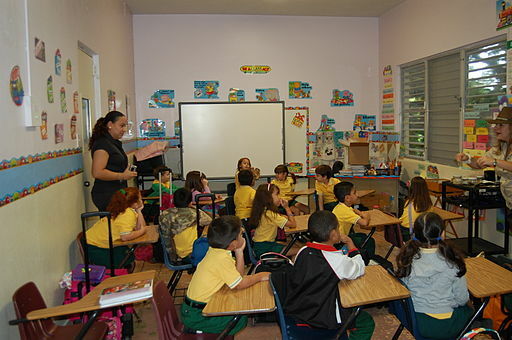 They say they are not only fighting for their school, they are fighting for the future of Puerto Rico. How can you help? The lives of the children in Puerto Rico have been turned upside down. The gift of a fresh start with new school supplies will offer kids hope and a glimpse of a brighter future. So, YouGiveGoods is working with our contacts at the Salvation Army to get most-needed school supplies to kids in PR in time for the start of school. Shop now to purchase school supplies for Puerto Rico. Corporations, organizations, schools and individuals can sponsor a school supplies drive on the YouGiveGoods free giving platform. There are never any costs or fees for the sponsor to run an event on YouGiveGoods or to the charity recipient. And, when your organization sponsors an event, YouGiveGoods will send 5% of your drive's total donation value as a cash gift directly to the Salvation Army in PR. Click here to start your drive today! Or contact us for more information. Raising school supplies is one of many ways you can help. However you are able to lend a hand, we encourage you to do so and let our fellow citizens in Puerto Rico know they have not been forgotten.